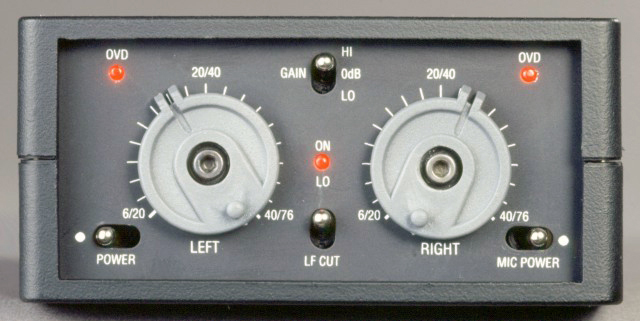 The most critical part of any sound recording system is the microphone preamplifier. Considerable effort was therefore invested in this element with the development of the SONOSAX SX-S mixer. This laid down the foundation for this product’s success and the same philosophy has since been implemented in the other SONOSAX products. The advent of the DAT, MINIDISC, DV, miniDV and BETACAM formats has created a need for mic preamplifiers of equally high standards. As most of these applications do not demand any on site mixing, SONOSAX now offers its well-proved technology in a versatile dual channel package. 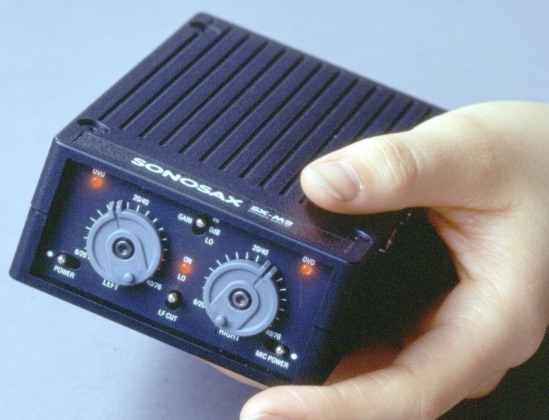 The SONOSAX SX-M2 operates with two 9volt batteries, or with NiCd accumulators. Indicator: low batteries at 14V. Autonomy: minimum 2 hours with alkaline batteries, and minimum 10 minutes with NiCd.